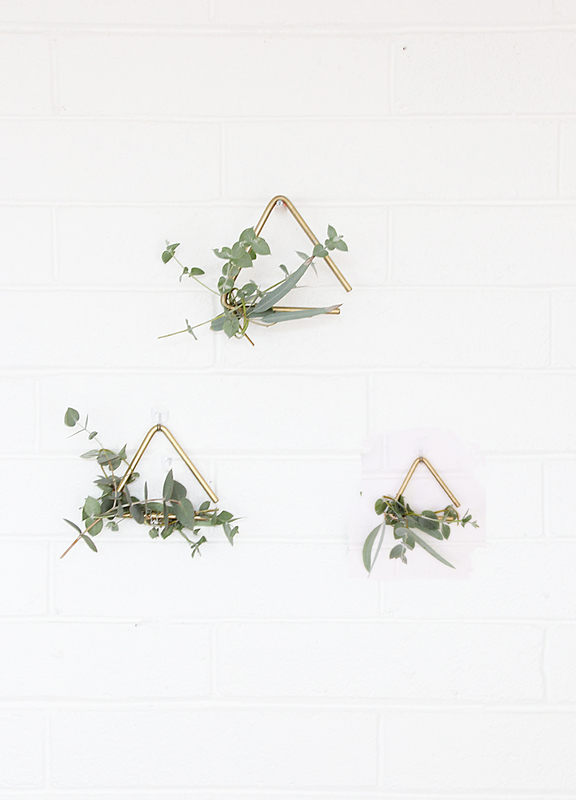 I am a huge fan of eucalyptus, it is free (as in it is in my backyard and Nick may disagree with the whole free thing being a good deal as I clip his trees too much, love you babes) beautiful and easy to work with! It also smells good. 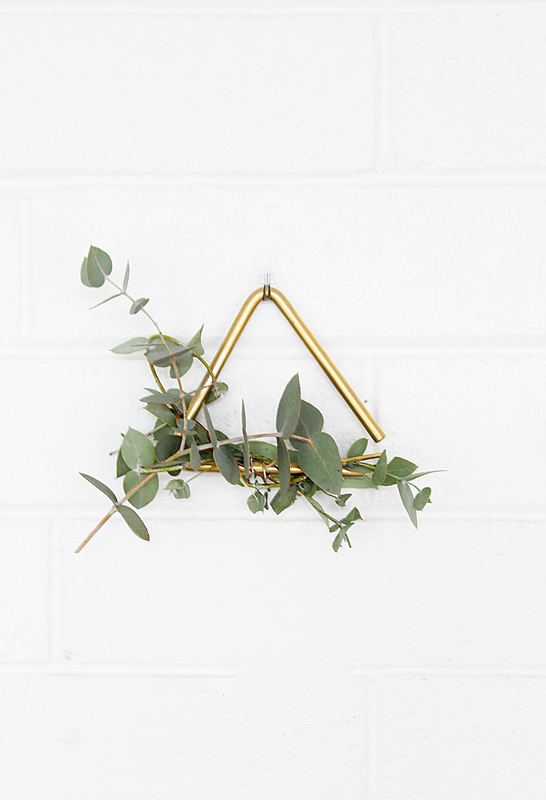 I tried a new shape wreath- a triangle- using an unlikely material- Kid’s musical triangles! A set of 3 is about $12 and they come in a variety of sizes if you want your wreath bigger. 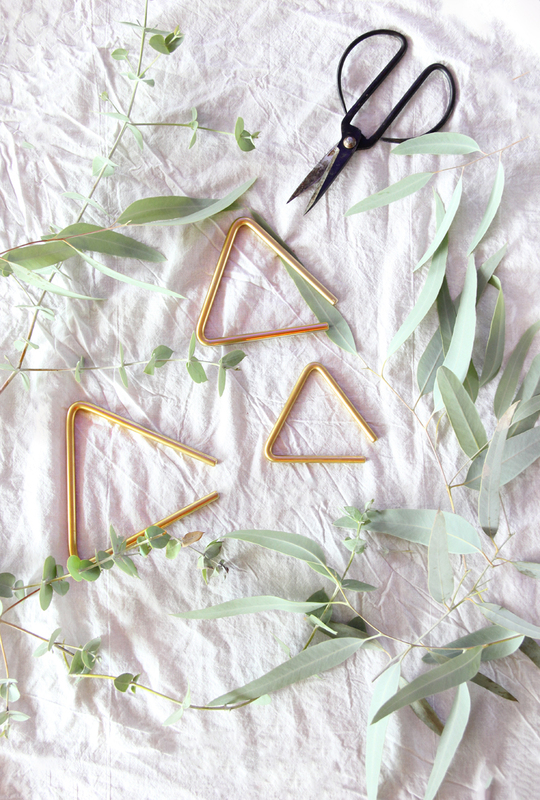 The triangles come in silver, but I wanted gold, so I did a quick spray paint over them to change the color. 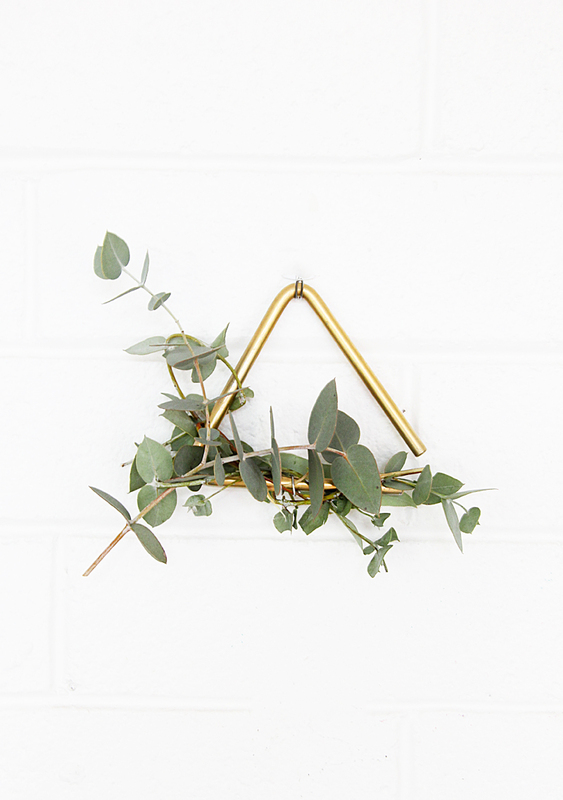 You can cover the whole triangle with eucalyptus, but in this case I did one side and now that I am typing this, hmmm… maybe I should do a whole covered triangle too! I just tie on where I want the eucalyptus and decorate the triangle and hang!I think eucalyptus dries pretty, so I keep eucalyptus wreaths up for a long time. If I have a flower bouquet, I may add a flower for a couple days to it as well. Enjoy! 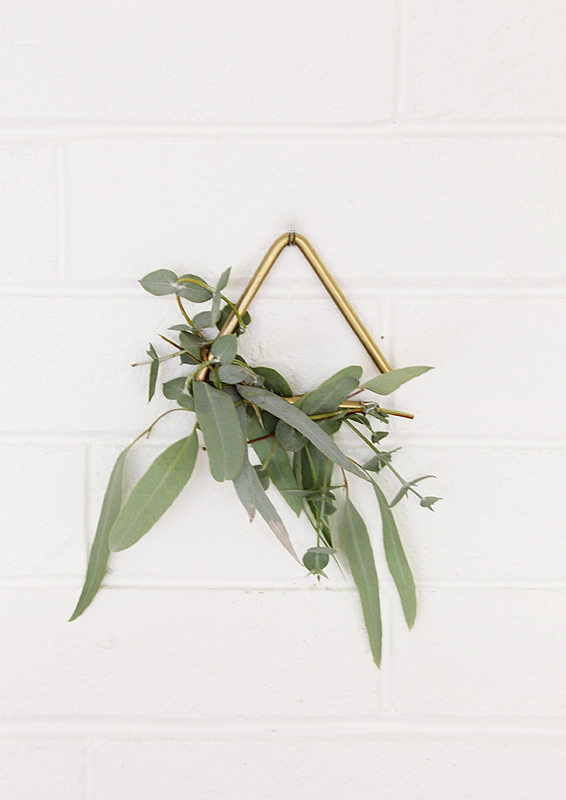 Also, I told you I was a fan of eucalyptus, here are more eucalyptus ideas if you want them! Hi Michele! I purchased a set of 3- https://rstyle.me/n/dadbrjs2zn and they are 4, 5 and 6 inches.